Rainmaker Advertising has served as Helen Brett Enterprises outsourced marketing team for more than 14 years. 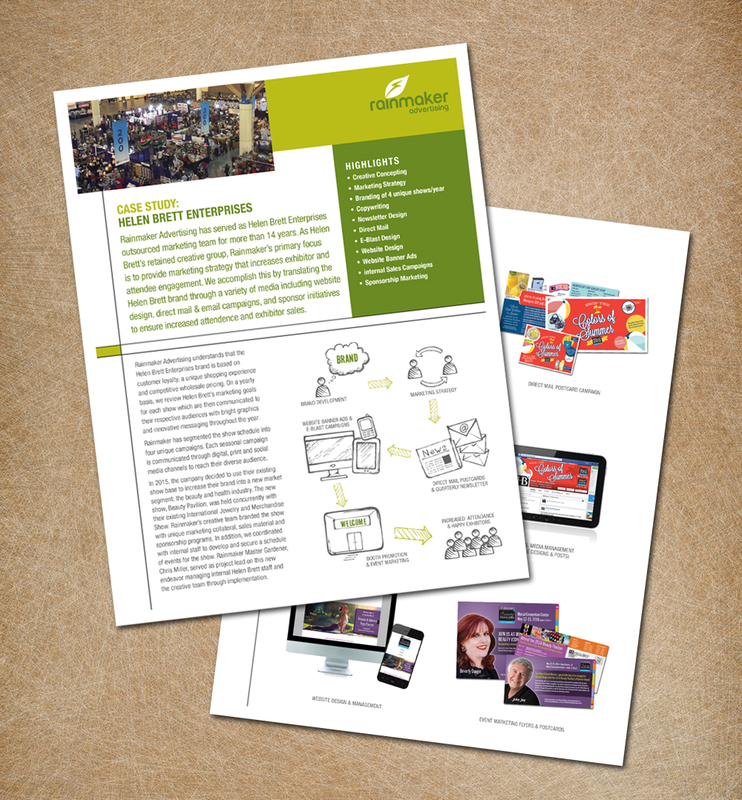 As Helen Brett’s retained creative group, Rainmaker’s primary focus is to provide marketing strategy that increases exhibitor and attendee engagement. We accomplish this by translating the Helen Brett brand through a variety of media including website design, direct mail & email campaigns, and sponsor initiatives to ensure increased attendence and exhibitor sales.